Jemstep is a wholly-owned, indirect subsidiary committed to maintaining an open investment platform for financial advisors, RIAs, IBDs, banks and insurers. 2016—Jemstep was acquired by Invesco Ltd.
Value proposition: To assist firms and their advisors in growing and serving clients through an integrated digital platform that enhances advisor engagement with clients and prospects. Established in 2008, Jemstep is one of the first companies to offer a digital platform focused on helping advisory firms and their advisors deliver quality digital advice to clients. Its platform, Jemstep Advisor Pro, is an innovative technology that enhances the way financial advisors run their business. It allows them to service current clients and prospect for others more efficiently by using the latest digital technology to deliver valued financial advice. I had a chance to talk to Simon Roy and Matthew Rennie about Jemstep and its offerings. 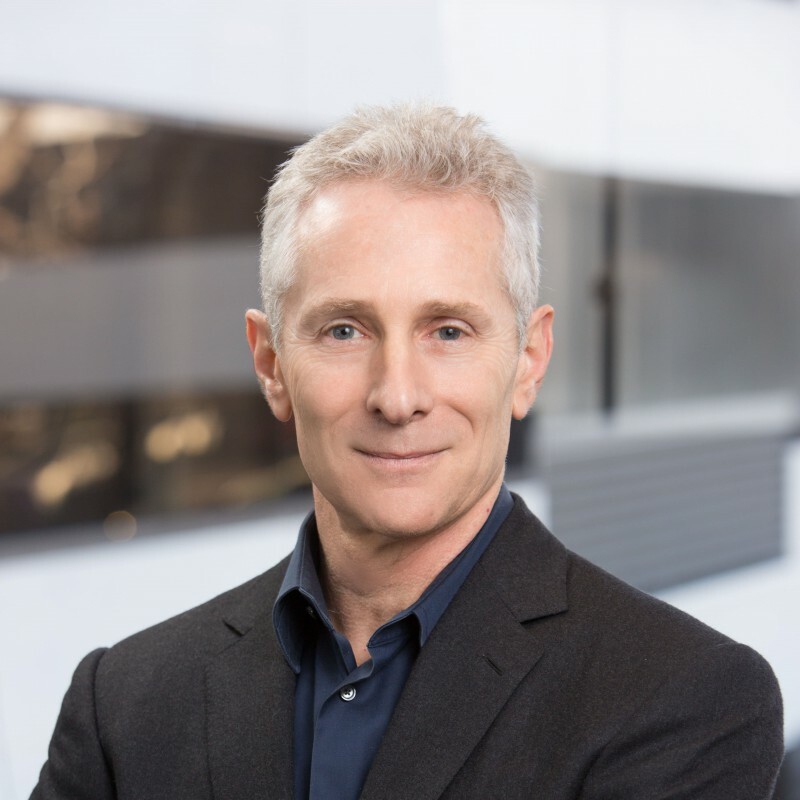 Simon is President and CEO of Jemstep, responsible for overall business strategy and management. In this role, he has direct responsibility for functions including strategy, corporate and business development, sales, services and investment systems. He has a strong background in the FinTech space. Having earned his MBA at The Wharton School at the University of Pennsylvania, he joined McKinsey where he worked with financial services and technology firms completing projects with wirehouses, money center banks, and insurance companies. For over 22 years, Simon has been focusing on technology firms, including building an early internet analytics firm. Matthew is VP of Engineering at Jemstep, responsible for managing teams who develop sophisticated computer applications, forecasting tools, and statistical modeling systems that support investment decision-making. 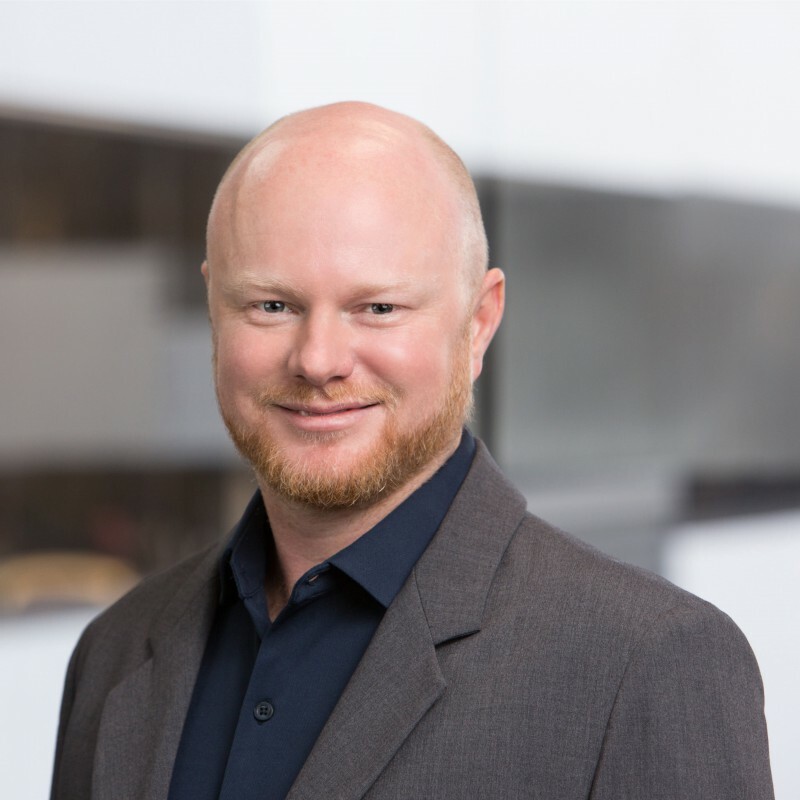 Prior to joining Jemstep, he was Director of Engineering at IT Platforms where he led an international engineering team developing specialized business systems. He has a strong technical background and earned a Master of Software Engineering from Carnegie Mellon University and Bachelor of Information Technology from Bond University in Australia. Matthew has worked in various verticals, ranging from electronic billing to wealth and enterprise resource planning software. Jemstep is a dedicated B2B2C (business-to-business-to-consumer) service provider. The firm helps banks, credit unions, broker-dealers, insurance companies, and RIAs better connect with their clients by bringing quality advice to a wide base of investors. Simon says that Jemstep brings deep experience in adding value to the consumer. He feels that such experience was learned through Jemstep’s initial business as a direct-to-consumer provider, and subsequently strengthened through investment in understanding the ways in which banks, insurance companies, and their advisors work, and the systems and processes that are applied to support them. Jemstep Advisor Pro is an innovative technology that enhances the way advisors connect with their clients and prospects. The platform allows advisory firms to configure the Jemstep service to ensure that the firm’s value proposition is clearly conveyed. For example, the mix of digital and human advice can be configured by client tier and investment models can be designed to differ by client segment. Open investment architecture allows home offices and advisors the flexibility to use their own asset allocation models — providing access to mutual funds, exchange-traded funds and other investment vehicles. Home offices and advisors also can choose from a range of available asset allocation models curated by industry-leading investment managers, like Invesco. 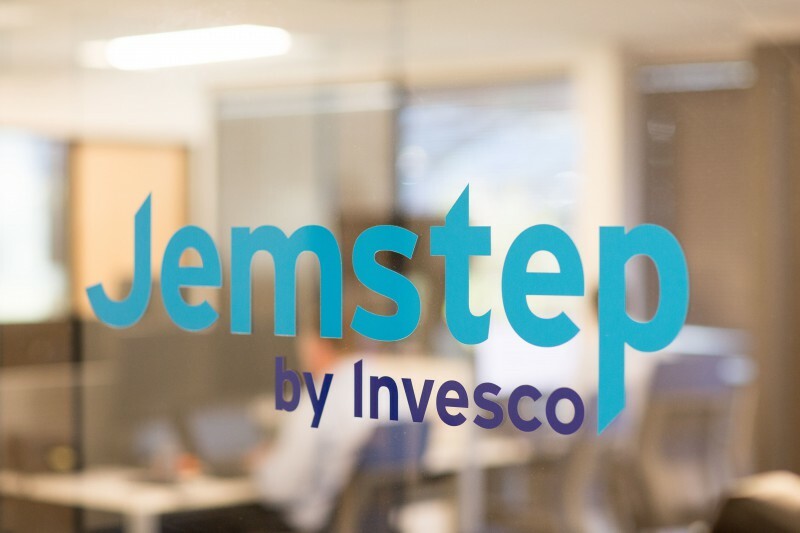 Simon highlights that being backed by Invesco has turned out to be an incredible strength for Jemstep, as it has brought stability and certainty to both sides. Jemstep can continue to deeply invest in the platform and services, and Jemstep’s customers can optionally benefit from the services offered by Invesco, including investment solutions optimized for retail investors, consulting to help with the adoption of Jemstep Advisor Pro, and support to ensure that advisors are comfortable using the platform with their clients. The front-end of the platform is written in responsive code. Clients of financial firms can access the Jemstep Advisor Pro application on a mobile device with high-quality responsive code. APIs are being made available to enable financial firms and banks to integrate the Jemstep Advisor Pro application into their mobile apps. Jemstep and Jemstep Advisor Pro support partnership and integrations both from a business and product architecture perspective. From the beginning, Jemstep has not been designed as a one-size-fits-all solution. Instead, Jemstep’s service is designed to integrate with each advisory firm’s technology and workflows to enable the firm to not just digitize its client experience but also digitize their middle and back office operations of its wealth management business to support growth of AUM and reduce errors and cost to serve clients. Simon insists that successful implementation of Jemstep’s solution requires integration with the advisory firms’ many functions, including marketing, sales, client service, onboarding, operations, investment management, compliance, etc. It is required to ensure that the digital platform is not a bolt on solution but works well with the going forward processes and technologies. Since analytic services are considered to be extremely important for an advisory platform, Jemstep Advisor Pro integrates with analytics platforms, as well as marketing platforms such as Marketo and Oracle Eloqua. Jemstep also offers integrations that automate investment management, portfolio management, and trading. Jemstep’s customer-centric approach to integrations supports both embedded solutions and select third-party solutions chosen by advisory firms. In working with large financial institutions, Jemstep needs to meet the highest cyber security standards. The company takes a multi-layered approach to managing the security of its application and partners with whom it integrates and works. Simon shared that Jemstep is compliant with SOC 2 Type I and they are working on obtaining a review for SOC 2 Type II. The approach that they take is to protect not just their systems, but also the information of advisors, advisory firms, and their clients. Jemstep applies best practices such as pure coding and secure software development. It also considers OCC regulations that are focused on protecting client data in banks and other financial institutions. Customer data is encrypted at rest and in transit using some of the most secure standard mechanisms. The company has infrastructure controls in place that limit employees from accessing client data. Jemstep Advisor Pro is an open-investment platform. This means that it enables advisors to use their own internal investment strategies or strategies from third parties. In addition, Jemstep leverages its extensive experience and understanding of the practical issues and costs involved in implementing investment strategies for individual investors to offer customers investment models that have specifically been designed and optimized for a digital wealth platform. With Invesco’s Global Solutions portfolio construction experts, a range of investment solutions are available to meet the needs and requirements of both end investors and advisors. The construction of the models includes factors such as the minimization of total cost to clients (transaction costs, fund fees, tax efficiencies etc. ), diversification (across fund families, investment factors), and marketing and advisor support with investment solutions tailored to support a range of account sizes from smaller balance to HNW clientele. Matthew points out that there is a clear relationship between architecture and team structure. “Engineers that are working and breathing the product are usually best equipped to understand the actual software architecture,” he said. Matthew also believes that engineers shouldn’t lose touch with system architecture, as this offers better flexibility and greater efficiency in the team. Jemstep’s architecture has also changed to reflect what drives their business. Going from a B2C to a B2B model has influenced its architecture, with core principles, technologies and new elements evolving over time. Jemstep utilizes Scala for all software development, specifically the reactive, concurrent framework Akka, and the Play framework. On the front-end, Jemstep is moving towards more React components and embedding them as part of their stack. Matthew explains that Jemstep runs on the public cloud, deploying exclusively to Amazon AWS for the elasticity benefits and convenience that the Amazon platform provides. Another advantage of using Scala is the Scala API for Amazon Spark. Jemstep Advisor Pro uses Spark for analytics and ETL because this makes it easier to integrate with custodians and market data providers. All the individual Spark jobs are run on Amazon data pipelines, which then run on a batch basis within Amazon EMR. Simon discussed some details surrounding the development processes applied at Jemstep. For example, they use Agile, which is flexible – an important attribute since the company has development centers in the US, South Africa, India, and South America. Jemstep has development squads, or teams comprised of multiple development engineers, along with dedicated test engineers. The teams typically consist of full-stack engineers with broad skillsets so that within each squad there is a full-base set of skills. Adding to that, Matthew explains they aim to minimize documentation, with a fast-paced collaborative and self-organizing attitude. This allows them to build a working product early and then iterate on top of the minimum viable product. Jemstep’s development is feedback-driven and agile, and they work with their clients – including banks, credit unions, broker dealers, insurers and RIAs – to ensure core values are aligned and collaborate to create a platform that fits their needs. Jemstep has R&D teams that are focused on new features or new integration partners. These dedicated teams are tightly integrated with developers. Jemstep’s geographically distributed development model has allowed them to flourish for over 10 years. For this model to work, there has to be a free flow of information or operational transparency (even transparency in decision making). Matthew said that this is engrained in their company culture, with all the teams using shared workspaces and Slack for internal messaging. To keep all the teams on the same page, Jemstep invests significantly in educating and equipping its engineers with necessary domain knowledge. Matthew says that they run domain knowledge workshops on a weekly basis, where experts present a certain subject. These workshops are recorded and later distributed to new employees as part of the onboarding process. Jemstep also maintains an extensive knowledge base, and many of their operating procedures are documented in Confluence. Jemstep is a fast-growing company and its focus on financial advisors enables advisory firms to offer clients valuable advice leveraged by robust technology, reducing the cost of the service and broadening their clientele. The company is constantly expanding the Jemstep Advisor Pro platform functionality to continue to meet the evolving needs of clients, advisors, and the businesses that the company serves.